We scoured the Hub for wedding and reception venues that are as extraordinary as they are unusual. Click through to see what we found. Candy and dessert buffets at weddings, showers, and other gatherings are just one of the ways to show your guests gratitude in one of the sweetest way possible. However with all the costs and efforts involved -- color-coded candy, tongs and scoops, and apothecary jars of all sizes, oh my! -- attempting a DIY version of a table can be intimidating. 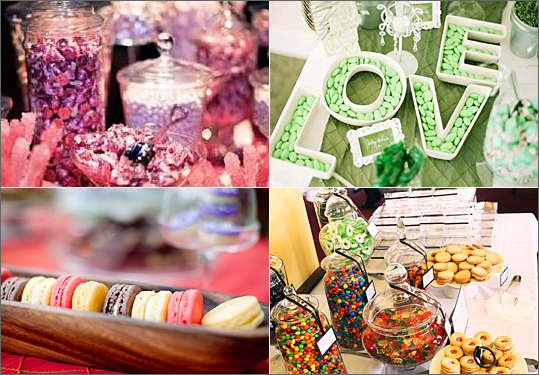 But never fear -- we asked area party and event planners for their tips on how to make a cost-effective candy buffet that doesn't skimp on WOW factor!